Raising children has never been easy but it was much simpler 300 years ago. Moral values and cultural norms did not noticeably change from one generation to the next. Children often grew up to inherit their parent’s social standing and professions. Families were far more nuclear and things more established when not threatened by war. Everyday life was generally far simpler and routine. That doesn’t mean it was better, just less encumbered with decisions and uncertainties. Parenting was very much along the same lines as how parents were raised as children. But as the industrial revolution took hold and more recently as science and technology took off changes in society evolution became progressively more rapid, complex, and disjointed. People were able to do things and travel places not possible a generation earlier. Knowledge not available to the common man became more abundantly available. But that knowledge also changed and increased as rapidly as changes itself. Social change today is being compressed into a relentless progression of changes due to technological advancements that can no longer be measured in terms of years. Three generations of smart phones come out in a year. Applications intended to make our lives easier are coming out every couple of weeks indirectly making our lives become more complex. Our standard of living has also been dramatically improved by all this new technology. But also have the complexities of life. Concepts in technology and medical/biological science such as cloning and genetic engineering are changing life itself and creating moral dilemmas not imagined a few years earlier. This has cause moral conflicts between what people of faith believed before and what is possible through science today. So traditions are constantly being challenged creating social and moral conflicts. This makes raising a family especially challenging since parents no longer know how best to raise their children as traditional methods of parenting are deemed antiquated and often cruel. It is no longer legal to spank one’s child because it is considered mentally damaging. Parents are moving periodically to new jobs resulting in children having problems making lasting friends as they change schools and neighborhoods. There are many experts suggesting to parents how best to raise their children. In truth no one knows. As soon as an expert comes out with one method of raising kids social changes make it outdated. Moral vales and cultural norms are such moving targets that they are loosing their meaning in child raring and society in general. So what are parents to do? There are apparently no simple answers or solutions. If moral value are moving targets how are parents to instill the right ones into their children and more importantly how are parents to conduct themselves as good parents and as members of society? But a key question to ask is are there any immutable moral values? As an agnostic I take a broad view of moral values that everyone is deserving of being treated with dignity and that I do not have ownership of what is right, only of what I feel is right for me at the time. Pope Francis has recently been praised for his public demonstration of humility and compassion, of showing others how he is no better than anyone else. Perhaps Compassion, sympathy with those less fortunate or well endowed, is that common glue that binds all civilizations together. It seems to play a major role in all major religions. Its meaning is least ambiguous of all our moral values. It plays a strong role in most societies in connecting people of different social stature together. It is often restrictive in its application but it has exist almost universally throughout time. So if we could focus upon Compassion and learn to extend it more universally to everyone perhaps that could be a constancy to instill in our children to be further developed and passed onto their offspring. 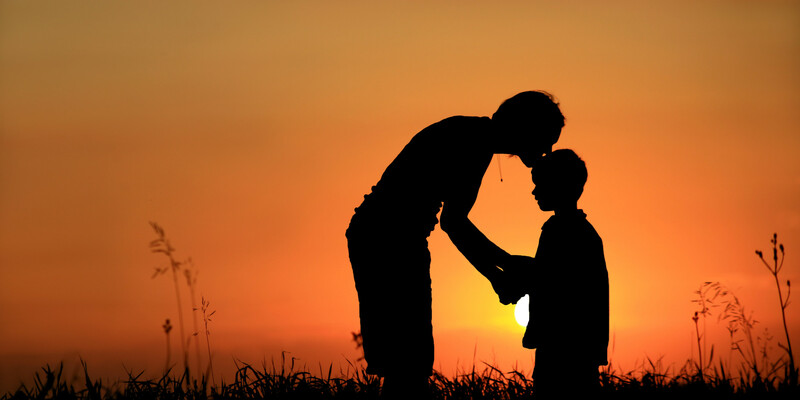 Perhaps the concept of Compassion could be applied in the way we rear our children in preparation for adulthood. It will help guide them throughout their lives to deal more positively with others of their species and become successful in life. Sure math and science are important, but parents should leave this up to the schools. Success doesn’t have to be measured in terms of money. It should be measured in terms of self-worth. If one feels no worth in themselves how can they have true worth to others? One cannot honestly have Compassion without having a sense of purpose and self-worth. So a Compassionate parent can let this constancy guide them in the raising of their children. It should be up to them to use their creative judgement on how to use Compassion to raise their children as long as they clearly understand its meaning. This entry was posted in Morality Values, Social Issues, Society and tagged compassion, complexities of life, cultural norm, established, moral conflicts, moral values, Raising children, self worth, simpler and routine, social standing, society evolution. Bookmark the permalink. Morality has been debated ever since the beginning of written history. Plato’s “Republic” is a fine example. And here we are 2,500 years later still debating morality and ethics. All I can say is that if philosophy had the answer, then philosophers are keeping it to themselves, but I don’t believe it. Skepticism is wise, and stoicism very useful, but their main themes are being cautious and developing fortitude. In more recent times psychology is said to have come of age. Sigmund Freud’s mumbo jumbo has been pretty much discredited, or at least, few modern psychologists fully agree with psychoanalysis. And what about basic human needs? If we raise our children in safety, in material comfort, and give them a sense of belonging and give them love, does it make them “good” people? Not necessarily. There are plenty of nasty people who grew up in safety, material comfort, and being loved and with a sense of belonging. Are people naturally charitable? Before answering, ask why laws are required to make people pay taxes, and why before there was a welfare state, the streets were full of beggars and homeless people, many of them children. And why for example did politicians, state employees and charities in the United Kingdom during the 20th century send over 130,000 helpless British children to the other side of the world? Answer; to make things cheaper for the British taxpayer. I suggest Homo sapiens is generally nasty, and because we are distressed by the idea we kid ourselves things are or could be different. Well I don’t like kidding myself. I’ve found the best way through life is to have as little to do with people as possible. Give me a dog any day. Thank you for your thoughtful comments. There is much truth to what you say. Since the beginning of man’s conscious existence to about 10,000 years ago man lived in small tribal like communities of less than 100 soles. We have evolved little genetically since then, much like the aborigines of Australia recently civilized. Civilization itself it a recent invention by man where thousand and millions of people live together in a community of government, laws, money, jobs, education, transportation, housing, social interactions, religions, and other inventions of man we take so much for granted. But genetically we are still the cavemen of 10,000 years ago. All these new social and physical amenities and coping mechanism such as religion, philosophy and psychology only serve to rationalize our reasons for existence in an alien environment.